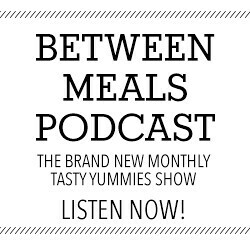 I have had a long and very romantic love affair with my spiralizer, since the moment we met. It just gets me and it has never, ever let me down. 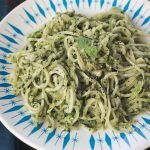 So, it only seems appropriate to share another spiralized recipe, this Valentine’s week! 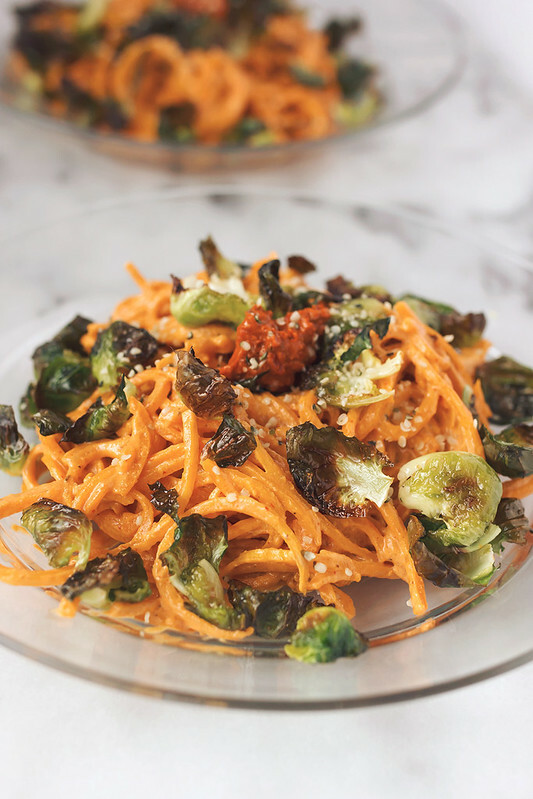 This post is part recipe for Butternut Squash Noodles with Harissa Cashew Cream and Crispy Brussels Sprout Chips and part ode to my spiralizer! Every single time I pull my spiralizer out to use it, I find myself blown away, not just by how simple it is to use, but also by all of the fun and creative recipes I can create with it. 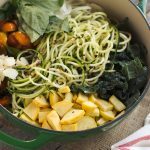 I find myself making the ever-popular zucchini noodles (aka noodles) on a nearly daily basis when I have zucchini growing in my garden, but I am also quite obsessed with yellow squash noodles, as well. 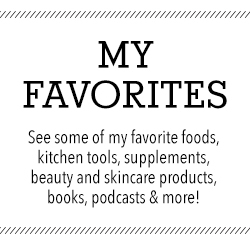 Some of my other favorites are sweet potato noodles, cucumber ribbons and celeriac noodles. I have also been known to spiralize apples and pears, onions, and the list goes on and on and then on some more. 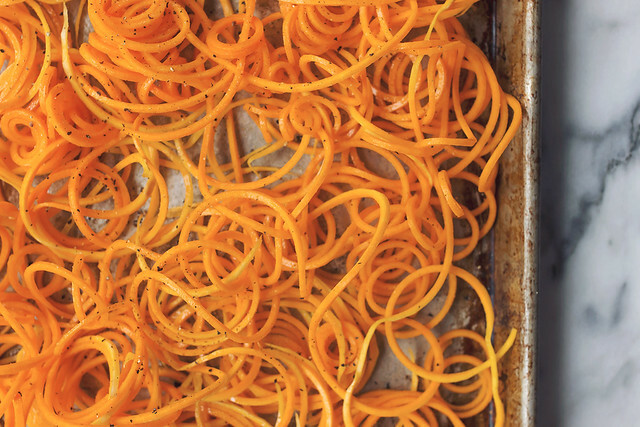 Butternut squash is one of my very personal favorites, made into spiralized noodles. They are hearty and stand up well in so many various recipes. 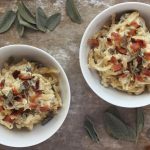 They are great simply just tossed with a little olive oil and garlic with fresh herbs, or maybe some browned butter with toasted hazelnuts or I really enjoy them in a hearty, but healthy creamy sauce, like the one featured here. 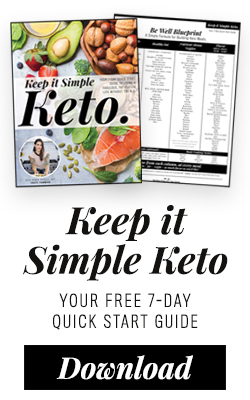 Before I get more into this particulars of this amazing recipe, I want to take a moment to share this incredible how-to video from my girl Ali of Inspiralized. 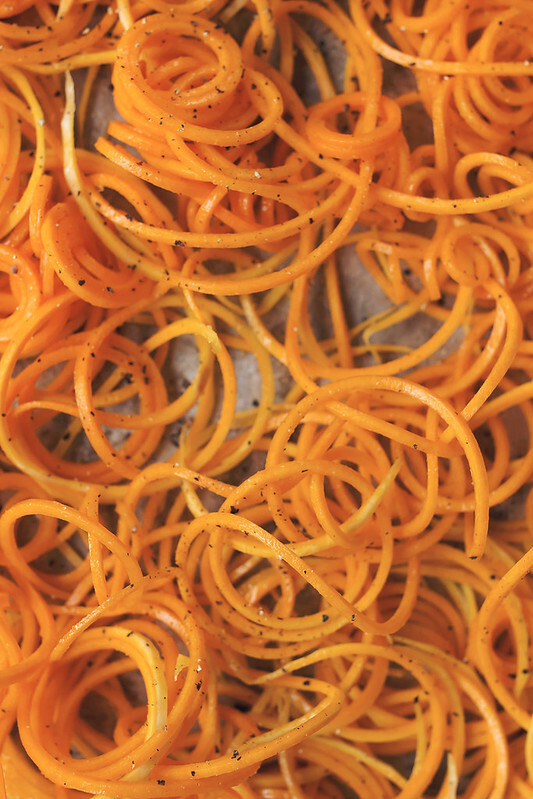 It’s a simple, easy to follow, step-by-step video on making the perfect butternut squash noodles. Watch this video, try this recipe and I can promise, after just your first time making butternut squash noodles, you too will be obsessed! 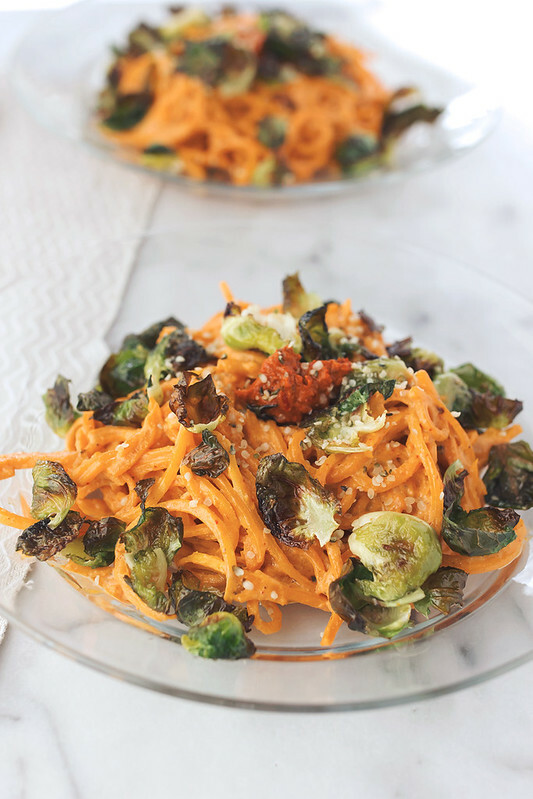 Outside of these swoon-worthy butternut squash noodles that I could easily carry-on about, I also have to tell you of another current food crush – Brussels Sprout Chips! Take what you know and love about kale chips and multiply that times like, I don’t know – a million zillion!! Brussels sprout chips are one of my most favorite things, currently. Crispy and browned – they have the most amazing flavor. They are great as a snack but even better served on top of a bowl of goodness like this one. 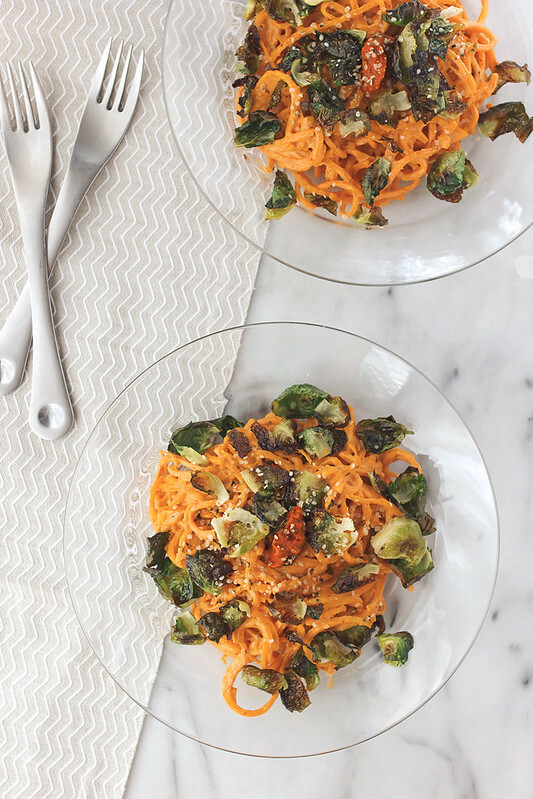 Finally, the Harissa Cashew Cream used as the sauce over the butternut squash noodles, is super simple to make and loaded with delicious and robust, spicy flavors. 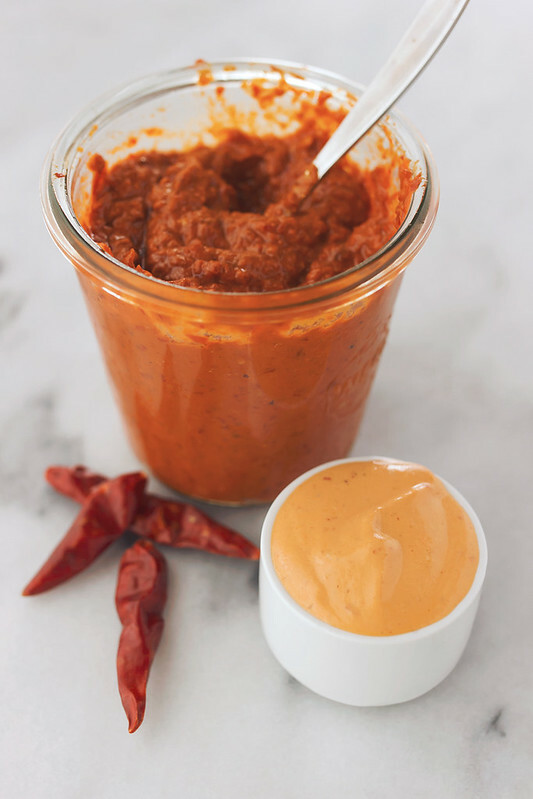 I, of course, made it with my homemade harissa sauce, which allows you to control the level of spice, but you could certainly use pre-made/store bought and if you don’t have any harissa, sriracha would also be great! Oh, and this may go without saying but – PUT AN EGG ON IT!! You’re welcome. 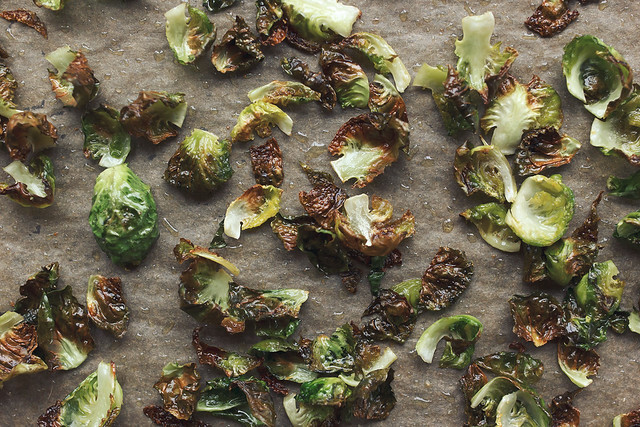 Make the Crispy Brussels Sprout Chips: Preheat the oven to 350ºF. Line a baking sheet with parchment paper. Toss the Brussels sprout leaves with olive oil and sprinkle a little sea salt and black pepper on top. Arrange the leaves in a single layer (depending on your tray size, you may need two trays). Bake for 8-10 minutes until the edges of the chips begin to brown and they are crispy. Watch carefully near the end, so they don’t burn. Remove from the oven and set aside. Make the Butternut Squash Noodles: Once the Brussels sprouts chips are done, increase the temperature of the oven to 400ºF. Cut off the bulbous end of the butternut squash and set aside for another use. Peel the butternut squash and using your spiralizer and the C blade, cut into noodles (please see the above video on how best to do this). Separate the noodles and toss with about 1 tablespoon olive oil. Season with a little sea salt, black pepper and garlic powder (if using). Arrange on a baking sheet and bake for 8 to 10 minutes, until slightly tender but more on the al dente side, like regular pasta. Make the Harissa Cashew Cream: Drain off the soaking liquid from the soaked cashews* and give them a quick rinse. 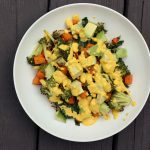 Add to the pitcher of your high speed blender or the bowl of your food processor, the soaked cashews, garlic clove, olive oil, nutritional yeast (if using), harissa paste and lemon juice. Give this a few pulses to get things moving, then slowly begin adding the water. This amount can vary, so go slow so you don’t end up with a watery sauce. Continue to blend until the mixture is smooth and creamy, adding more water as necessary. Give it a quick sample and adjust your seasonings to your taste. 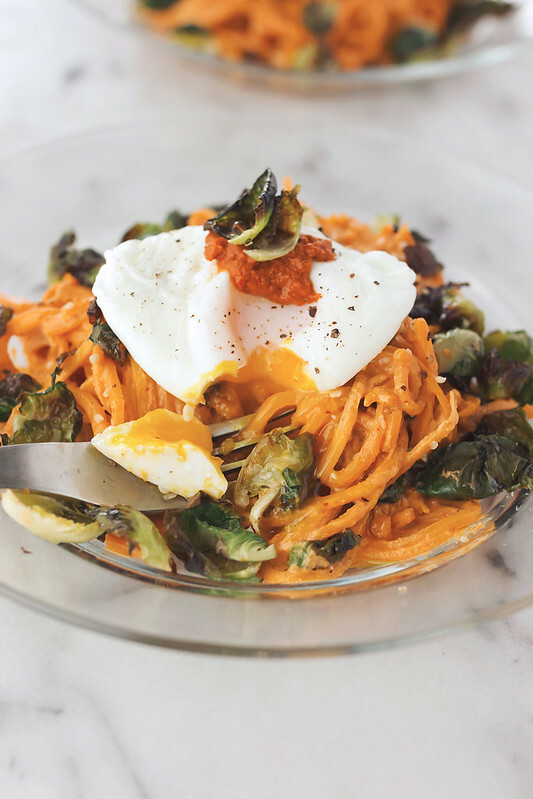 Assemble the Finished Dish: In a large bowl, toss the cooked butternut squash noodles with the harissa cashew cream, you may not use all of the sauce. Use as much as you’d like. Toss well to combine. Divide amongst your serving dishes and top each with a handful of crispy Brussels sprout chips. Top with hemp seeds (optional) or other nut/seed of your choice. Add a tiny bit of harissa paste on top for additional heat, if you like things spicy. You can even add a poached egg for a little protein. PS it’s amazing that way. I use the inner part of the sprouts for another recipe, like a stir fry or a simple hash. Waste not! if you forget to pre-soak the cashews, you can pour boiling water over the raw cashews and let them soak about 10 minutes. this dish would also be great with other spiralized veggie noodles, zucchini or yellow squash, sweet potato, etc. Regular pasta would also be great, too! 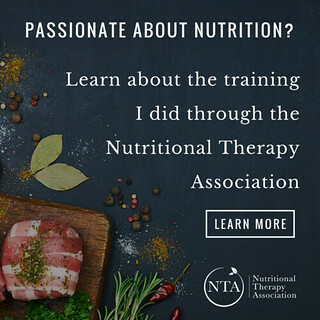 I am a participant in the Amazon Services LLC Associates Program, an affiliate advertising program designed to provide a means for sites to earn advertising fees by advertising and linking to amazon.com. 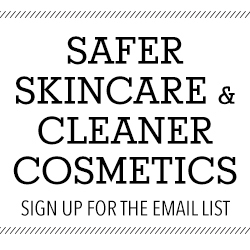 This means if you make a purchase using these links above – your cost remains the same, but I earn a small percentage to help support this blog. Thank you! I just bought a new spiralizer to replace my old crappy one. I can’t wait to start making veggies noodles more often. This combo sounds heavenly. Harissa cashew cream — yes!! Mmmm this looks amazing with the poached egg on top! Just made this with beet noodles, cause we had a lot of beets from the CSA. It was super good. 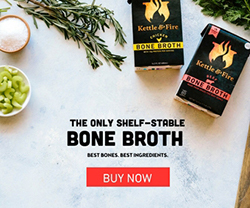 To be cliche, even my husband liked it and he hates beets, vegan alternatives, and anything he knows is paleo. I just told him it was roasted beets with cashew sauce. The fried eggs we put on top were an excellent suggestion as well. This dish is fabulous. I do not like heat, so I used sweet red chili sauce. Wonderful! Did not have an egg to put on top, I am vegan except for eggs from a friends couple of spoiled chickens, and was all out. That would be a great addition.